Rhode Island Railroads And Railfanning In "The Ocean State"
Rhode Island railroads were once the domain of the commuter railroad New York, New Haven & Hartford although today it is home to no Class I railroad. 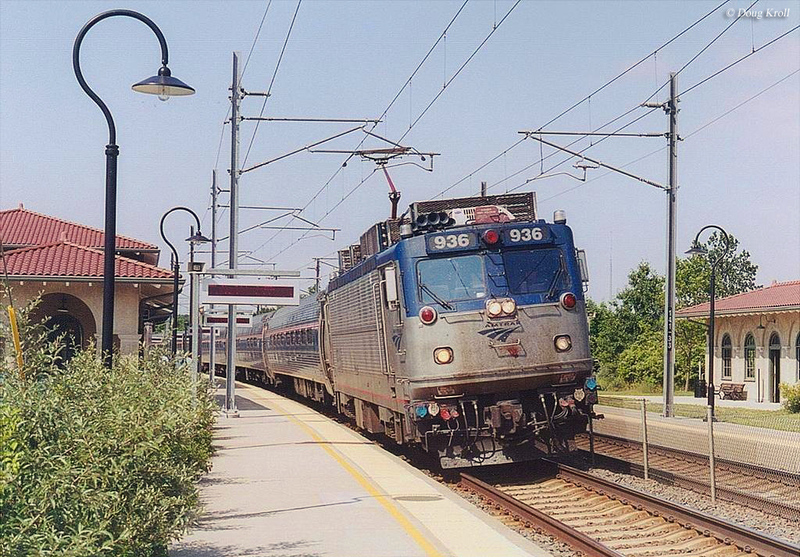 Our country’s smallest state also is home to the fewest rail miles, at least in the Continental U.S. (Hawaii ranks last with no active freight or passenger rail miles), most of which are handled by Class II, regional Providence & Worcester Railroad with passenger operations the domain of Amtrak and the MBTA (Massachusetts Bay Transportation Authority), which serves Providence. Overall, there is not a lot to discuss and highlight concerning Rhode Island, whether it deals with the past or today's operations. However, as much information as can be provided will be included here. 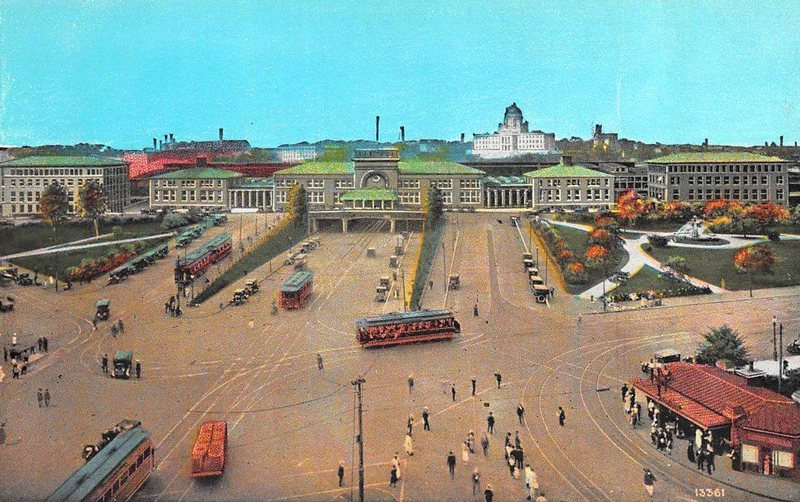 Rhode Island railroads date back to June 21, 1831 when the Boston & Providence Railroad was chartered to connect its namesake cities, which it accomplished by July of 1835 (part of the route is still in operation today by the Providence & Worcester). By the 1850s the little B&P reached such towns as Dedham, Attleboro, and Central Falls. In 1847 the newly created Providence & Worcester Railroad operated a joint line with the B&P between Attleboro and Worcester. By the spring of 1888 the B&P was leased to the Old Colony Railroad, which itself became part of the New Haven system on March 1, 1893. 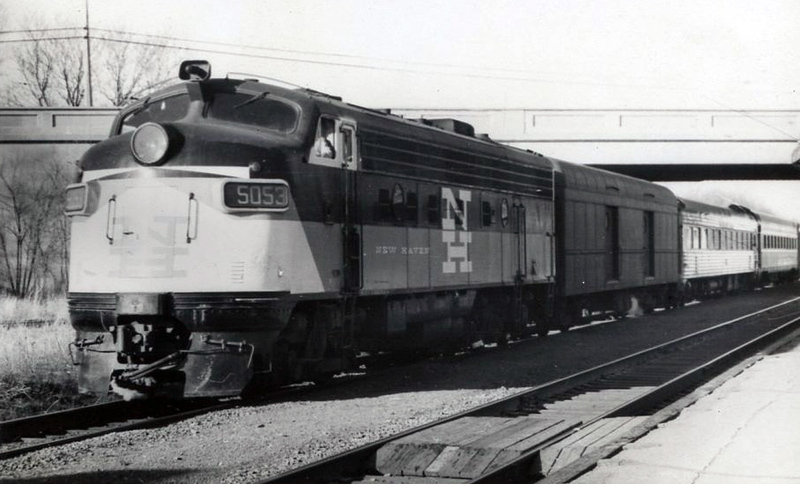 In the coming years Rhode Island would have rail service provided by one well-known New England railroad, the New York, New Haven & Hartford (better known as simply the New Haven). 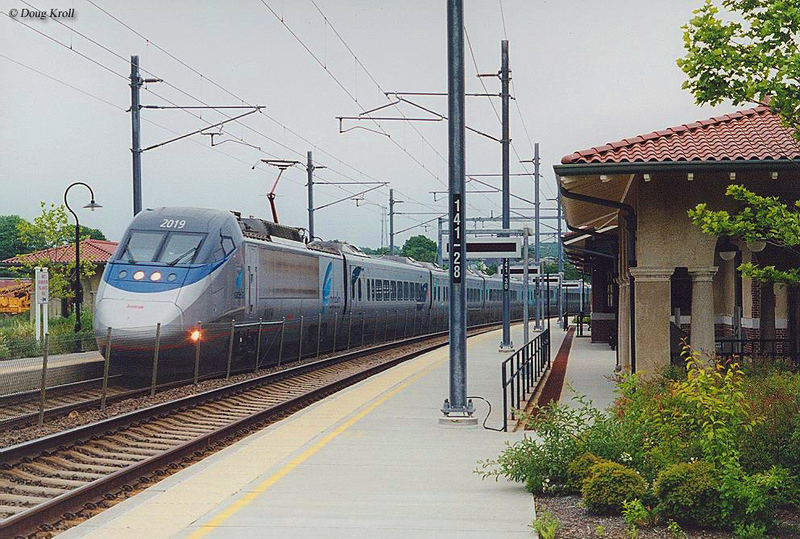 Today the NYNH&H main line continues to be an important link to both freight and passengers between Boston and New York, especially Amtrak where the line is part of the carrier’s Northeast Corridor (or NEC for short). On an even brighter note the old “McGinnis” New Haven livery (perhaps the best thing to come from his leadership) has reemerged under the Connecticut Department of Transportation local commuter railroad operations. Certainly something worth seeing if you are in the area! 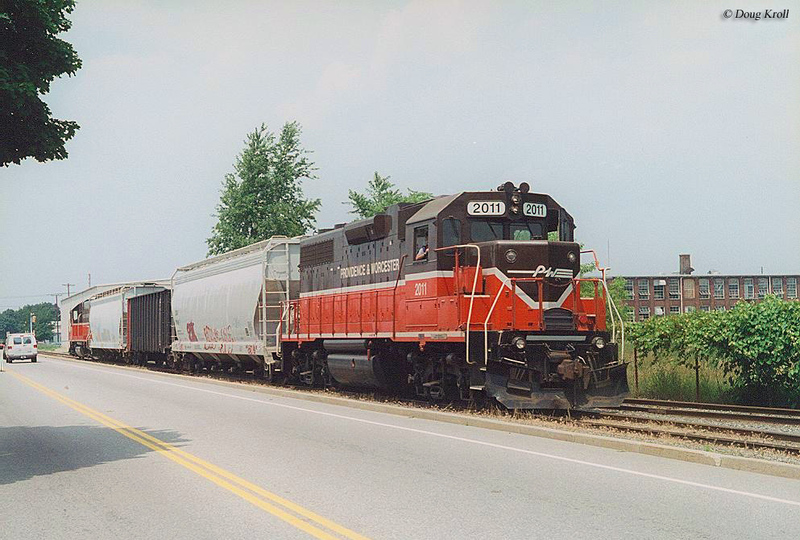 Today, while the shortline Seaview Railroad serves a former Navy yard in North Kingston (which consists of a yard and port it is owned by the Rhode Island Economic Development Corporation), virtually all of Rhode Island's freight rail service is the domain of Providence & Worcester. 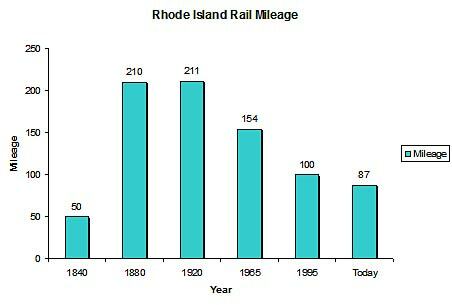 For a look at the state’s rail mileage over the years please take a look at the chart below. As you can see, the state has only been home to 211 miles of rails during its height, which occurred in the 1920s. Today, about 87 of those miles are still in operation with much of loss coming from redundant New Haven freight branches that have long since been abandoned, particularly under Conrail. From a percentage standpoint, just 41% of Rhode Island's infrastructure remains in use although this number does not carry significant weight considering the numbers are so small to begin with. In all, while Rhode Island does not offer the kind of diversity and action-packed scenes one would find elsewhere like in Pennsylvania or California it does have a unique charm all its own. So, if you tire of watching Acela Express trains zip up and down the NEC or P&W freight trains doing their thing, stop by the Newport Dinner Train for a relaxing train ride or catch up on some Rhode Island history at the Rhode Island Railroad Museum! Released not long ago if you're interested in learning and reading more about the state's railroad history the definitive guide on the subject is Railroads of Rhode Island: Shaping the Ocean State's Railways by author and historian Frank Heppner who has studied the state's railroad history for many years. This book was released in 2012 through the The History Press and offers great detail of the state's earliest railroads through the modern era. In any event, if you would like to pick up a copy of Dr. Heppner's book, which has received very good reviews, please visit the links below which will take you to ordering information through Amazon.com.